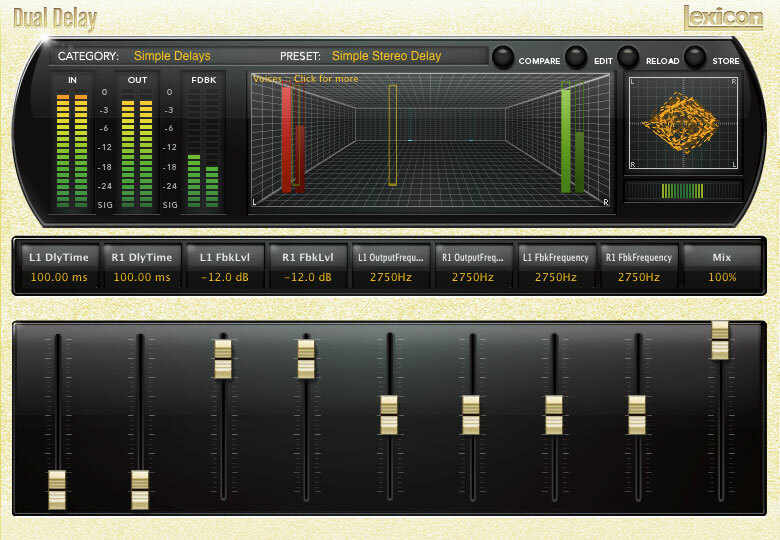 Lexicon® invented digital delay. That’s not hyperbole, it’s a fact. With the introduction of the TEC Hall of Fame award winning Delta T-101, followed quickly by the T-102, Lexicon changed the sound of everything. The PCM Native Dual Delay is part of the natural progression from our early models, moving Lexicon from the table top, to the rack, to the computer seamlessly. 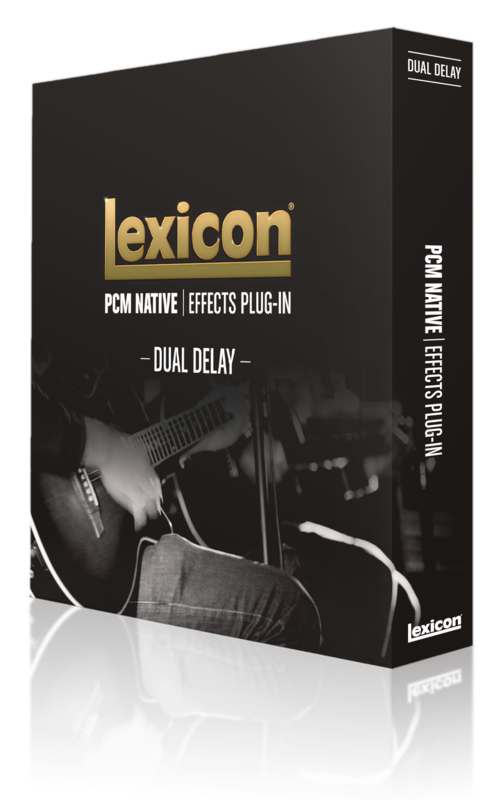 The Lexicon Dual Delay algorithm is a state-of-the-art digital delay generator. It has 4 total delay voices (2 delay voices per input channel). Each voice has an independently adjustable delay time of up to 9.5 seconds and independent output and feedback control. With additional EQ, filter, polarity, pan, and level control over each of the delay voice’s output and feedback paths, this plug-in provides incredible control over the effect. The Dual Delay plug-in is the go to plug-in for creating modern and vintage delay effects such as slapback, echo, tape echo, digital delay, ping pong, or double tracking. Delay effects first gained notoriety as part of the ‘Musique Concrète’ movement of the early 1940’s in France. A decade later, the effect began to find its way into popular music via commercially produced tapes echos. Although tape-based delays never lost popularity as a sound, the stability and programmability of digital delays, starting in 1971 with the Lexicon® Delta T-101, lead to a new revolution in sound that has dominated for over 40 years. We may have started the revolution, but we didn’t stop there. Lexicon has been as synonymous with delay as it has been reverb in studios around the world, and the PCM Native Dual Delay can give you the sound that takes your mixes to the next level. The PCM Native Dual Delay is also available as part of the PCM Native Effects Bundle. For other variations on Lexicon Delay, please look at the PCM and MX hardware series or the PCM Native Random Delay.